| Department of Drama, U.Va. Marianne Kubik is a physical theater artist and instructor, with a focus on direction, choreography and coaching. She heads the movement component for the Department of Drama and serves as a resident artist for its production season. Previously, she headed the movement division for the University of Kansas Department of Theatre and Film, and she served on the faculties of Boston University and Emerson College. 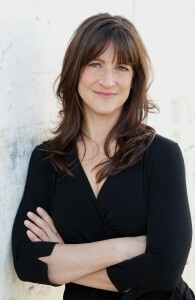 She is a Certified Instructor of Stage Combat with the Society of American Fight Directors (SAFD), a U.Va. Mead Honored Faculty member, and past-Treasurer for the Association of Theatre Movement Educators. A core trainer for the University of Virginia’s MFA Acting program, her pedagogy is founded in her practical research of Meyerhold’s Biomechanics. Her research on biomechanics is published in the book Movement for Actors, and she has held several biomechanics residencies for the University of Connecticut’s graduate acting and puppetry programs. Her other movement disciplines include mask, Laban, Feldenkrais, period movement and dance, ballet for actors and stage combat. With a dedicated focus on devised physical theater, Marianne is the recipient of a commission from the Fox Theater for her devised work The Waltz Project, a juried prize from the Indie Digital Fest for her short film No Shoes for Dancing, and a juried recognition for her duet Façade from the Eugene O’Neill Theatre’s National Puppetry Conference. Marianne has been a resident coach for the National Puppetry Conference, as well as an Emerging Artist for her puppetry project The Forgetting River, and a Guest Director for their 20th Anniversary Season. Marianne has shared her training and devised work internationally in Scotland, Italy, Slovenia, and the Czech Republic and has worked professionally at the Kentucky Shakespeare Festival, North Carolina Shakespeare Festival, Heritage Theatre Festival (VA), Construction Company (NYC), and the Huntington Theatre (MA). Recent directing work at the University of Virginia includes Scapin, Rhinoceros, dark play or stories for boys, and By the Bog of Cats. Marianne holds an MFA from Boston University’s College of Fine Arts and an MA from Tufts University.